Step 1 - Download the latest version of Raspbian (We reccomend using Jessie Lite) from the offical web site , copy it onto an SD card and then power on the Raspberry PI. To complete the following steps, download and install the free telnet client putty and then use it to connect to the Raspberry PI. Step 2 - The following step to resize the SD card is optional. Type in raspi-config and then select the Expand Filesystem option. A reboot will be required after this step. Step 4 Type in the following from the command line to install the package. The CBMS Studio software will be started after it has installed. 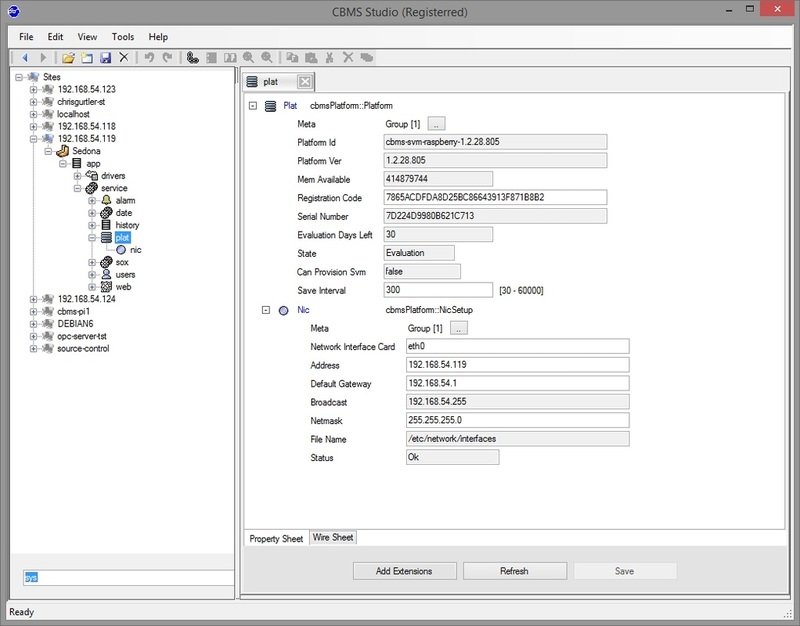 The Engineering Tool is required for the configuration of CBMS Studio on the Raspberry PI. Each RPI will require it's own unique registration code which needs to be purchased individually. The SD card will be paired against the RPI and if it is removed and placed into another RPI the registration code will become invalid. For testing purposes a 30 day registration code can be generated and it can be upgraded to a full license at any time after a purchase has been made. and then select File - Open to connect to the Raspbery PI. Make sure you have a monitor connected and take a note of the IP address displayed when the Raspberry PI boots. The default username is admin and there is no password. Note : The Engineering Tool is provided free of charge. 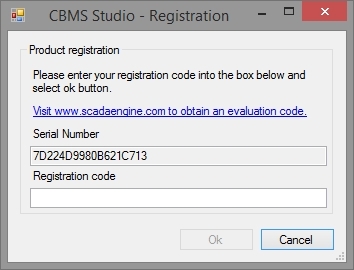 After connecting the CBMS Engineering Tool will display a registration dialog if the software has not been registered. The web browser will be opened where an evaluation code can be requested which will operate for a period of 3 months. A permanent registration code can be purchased from here. The registration status is displayed in the Platform Component. When you navigate to this component it will display the status, number of days left for evaluation and some other parameters. 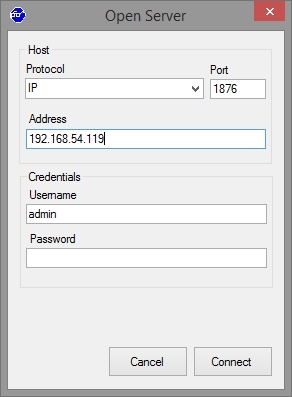 You can also set the IP Address from NIC component if required.